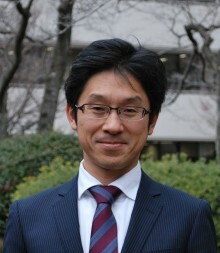 My name is Yoshinori Hijikata, associate professor in Kwansei Gakuin University, School of Business Administration. I am a social informatics researcher specialized in social media analysis and social media marketing. Social informatics is an interdisciplinary of computer science, social science and psychology. Especially, I analyzed user behaviors and their psychological features in social media and new real-world communication environments like co-working spaces. This study analyzes data of user behaviors using data science techniques and theory of social science and psychology. The final goal of the research reveals the nature of humanity on social media. Why people connect to other people? Why people submit comments to other people’s content? How people interact with intelligent systems on the Web? These human’s internal intents create the complex structure of social media. These finding can be used for developing new services and new marketing techniques. I welcome any student and researcher from any country. Come and join us to explore the new scientific world of social media.